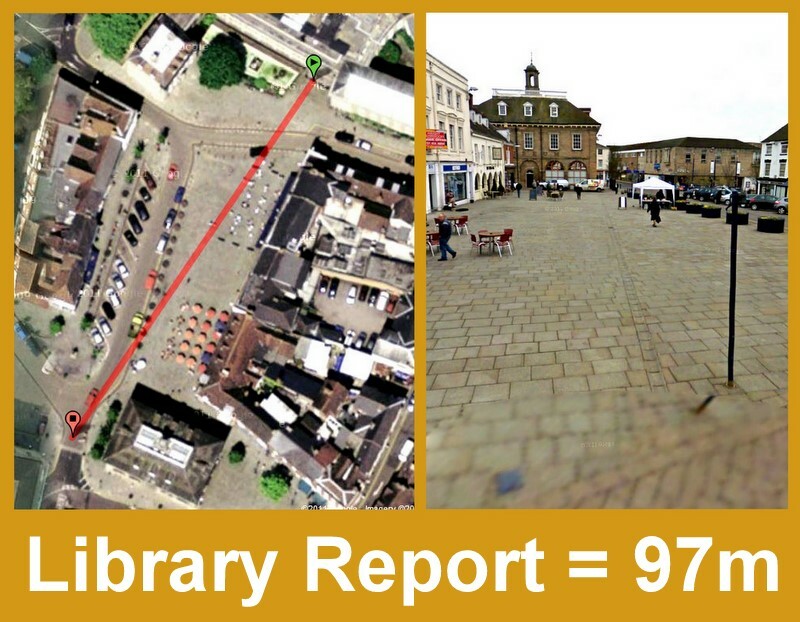 The Warwickshire Library Report is 326 pages, laid end to end, it's 97 metres long. Take a walk with me from the Shire Hall steps, across the Market Place and stop just beyond the Museum, as that's where it ends...at Tesco Extra (trust me it does, just see page 326). And having checked the WCC Democracy website many times over the last few days, I have no idea why a Library Report can exist in may versions. Each document has a total page count ranging from 317, 320, 324 and 326. I'm sure the folk at WCC will have an explanation (and yes I know the agenda is two pages - but it still does not add up). Guess, we all know the OSC is on Monday 11 July 2001, at 9.30am at Shire Hall, Warwick. The media, including wiK, has reported only the bare facts (Community Groups get longer until Friday 19 August 2011, there will be job losses: wiK post). I'm going to see what these 326 pages are all about. 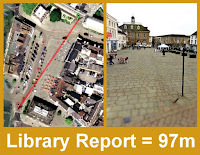 For the record, the 97 metres comes from an A4 page height of 297mm x 326 pages. What a wedge of paper. Did you know, if 15 Councillors wanted a paper copy, that would be 5,000 sheets of A4 paper. And a full council (at 62 members), that's over 20,000 pieces of A4 paper. So, that's why they have laptops - Councillors, please use them (they didn't last time). And just before I begin, did you know that these Library Closure and Cuts began on 2 February 2011 with a leaked document to the BBC ahead of the official WCC press release - that's 5 months 6 days ago today (156 days). On page 31, it states: 7.2 The estimated impact of the proposed changes on the workforce would be a reduction by at least 50 FTEs (approximately 86 - 120 individual employees). There will be an impact on women as this is a predominantly female workforce. And on page 307, it states: Staffing - We calculate that the equivalent of 53 full-time staff members (approximately 86 individual staff members) would have to be made redundant at a cost of approximately £900,000 – 1,230,000.